The Tiffen 77mm UV Haze 1 Wide Angle Mount Filter is a general use, clear filter that helps to absorb ultraviolet light and reduce the bluish cast of daylight. This filter is especially useful when photographing at high altitudes or around bodies of water. No additional coloration or contrast is provided, allowing you to pair this filter with others. 77mm UV Haze 1 Wide Angle Mount Filter is rated 4.1 out of 5 by 14. Rated 3 out of 5 by Anonymous from The lens cap can't grab on I am using this filter on a canon 17-40, It works fine, but the real problem is that now I can't keep the lens cap on very easily. The filter is so thin that there is almost no lip for the lens cap to grab on to. I would say, unless you are using this on a film camera or full-frame sensor digital, don't get the wide-angle. Just get the standard filter. Rated 4 out of 5 by Bill + Numbers from Nice, but lens cover will not fit Appears to be well built and low profile does not vignette. But no provission for lens cap to fit. THis is the nature of the beast since the retainer ring must take up all the available thread, leaving nothing for the OEM lens cap to grip. Rated 2 out of 5 by Anonymous from Waste of my money I'm not sure if they make lens caps to fix this problem but my biggest issue with this filter is you can't use a conventional lens cap over it. So you'd have to screw this basic UV filter on EVERY TIME you'd want to use it. No way. Rated 5 out of 5 by ttaleman from Good Wide Angle Filter. I've had this filter for several years now and it does exactly what it's supposed to do. Absorb UV light while being optimized for a wide angle lens. That means that you won't have a vignetting problem at the edges of your frame. Which you'll probably have with a standard filter. Many reviewers here are complaining about not being able to attach a standard lens cap to it. Well no kidding. 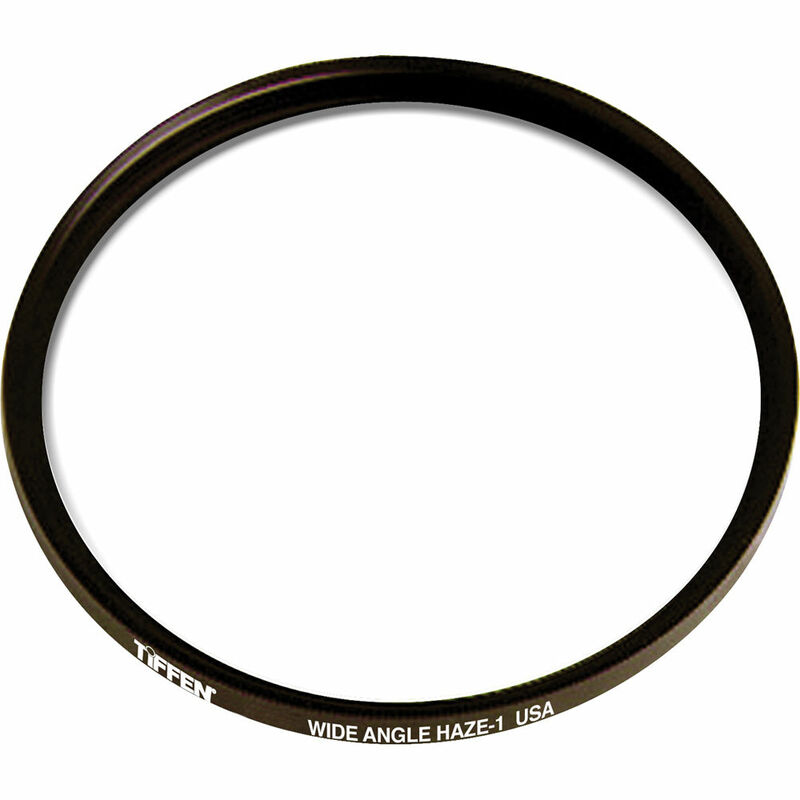 In order for this filter to work properly they reduce the height to prevent vignetting. Standard snap-on caps use the extra height to grab onto the filter. If not being able to attach a standard cap is such a big problem; I'd suggest you either find a push on cap. Or use a standard filter...and suffer the resultant vignetting. Rated 3 out of 5 by Anonymous from Good quality, but awkward Yeah, it's a low profile filter and it does what it's supposed to do, but the lack of substantial threads on the filter makes it difficult to keep a lens cap on it. Annoying, in my mind. Rated 4 out of 5 by Anonymous from simple and to the point This does the trick great with my 18mm wide-angle lenses. Nice low profile. *Just remember that you can't attach a lens cap on top of this filter. Rated 4 out of 5 by Anonymous from 77mm uv wide angle filter by tiffen I use this filter on a canon 17/40 f4L zoom. At 17 mm the lens does not see the edge of the filter as with my previous filter. The only complaint that I have is that there are no threads on the top of the filter. I do not stack filters but the one groove where the threads are normally located make it difficult to put on lens cap. Even if the cap is seated properly seated it comes off easily. Otherwise I have had no problems with the filter. Rated 4 out of 5 by Mountainman from Wish Tiffen had this in Haze-2 A necessity at the elevation where I live and shoot. Stacking with a wide-angle polarizer does produce some vignetting at widest angle. Oh well. I live in the Rockies and would get the Haze-2 in wide angle if only Tiffen would make it. Needs female threads because there is no way for this filter to hold a lens cap.